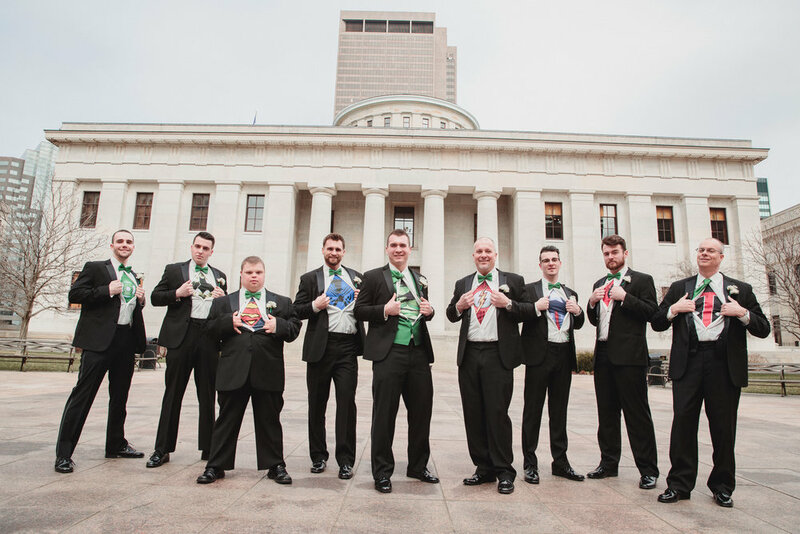 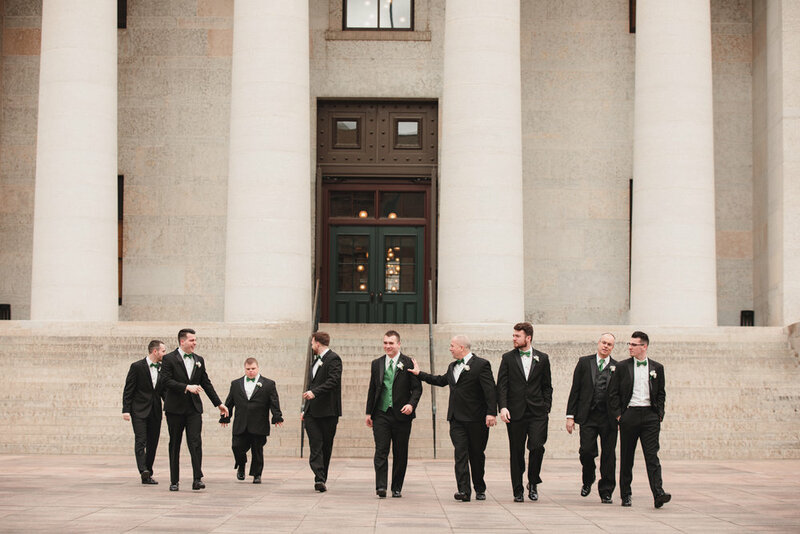 We started at the Ohio Statehouse. 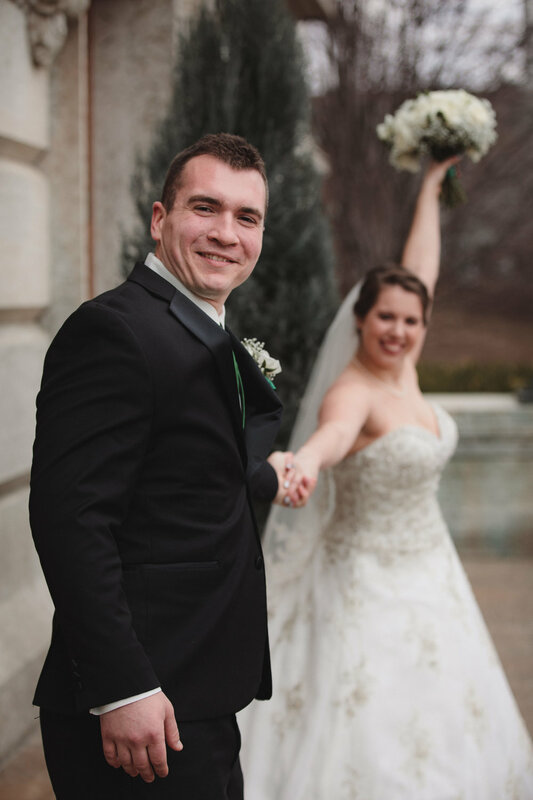 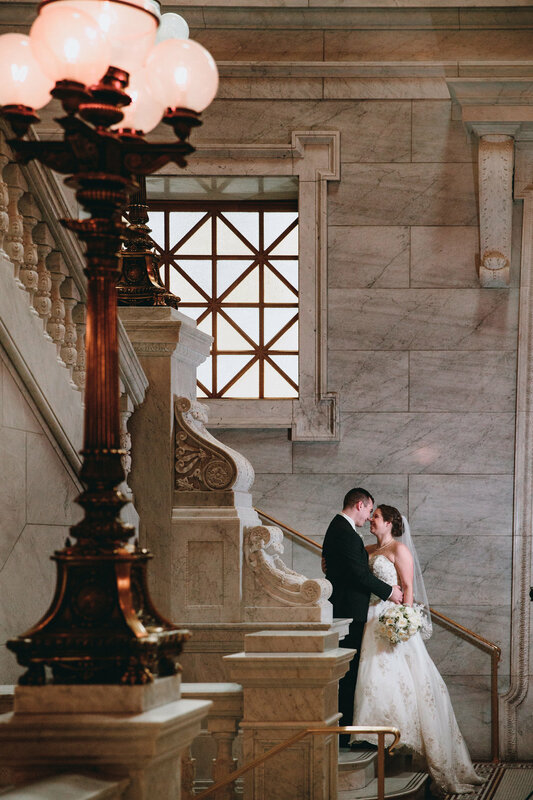 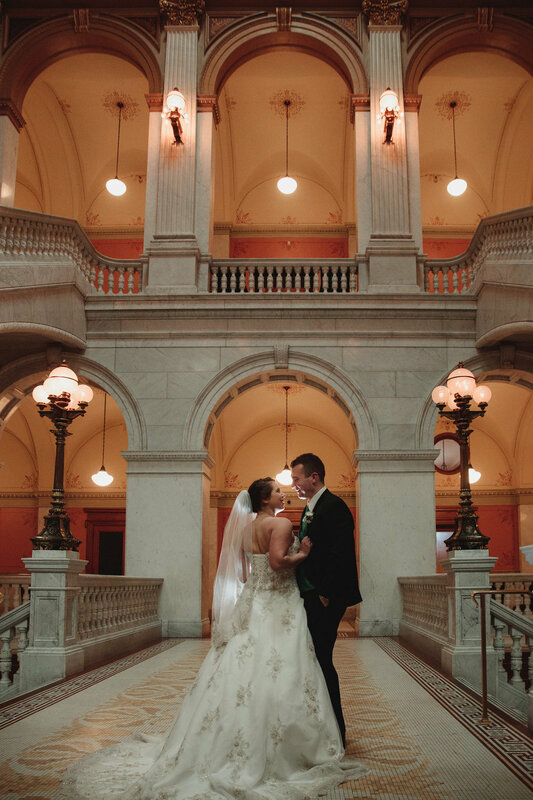 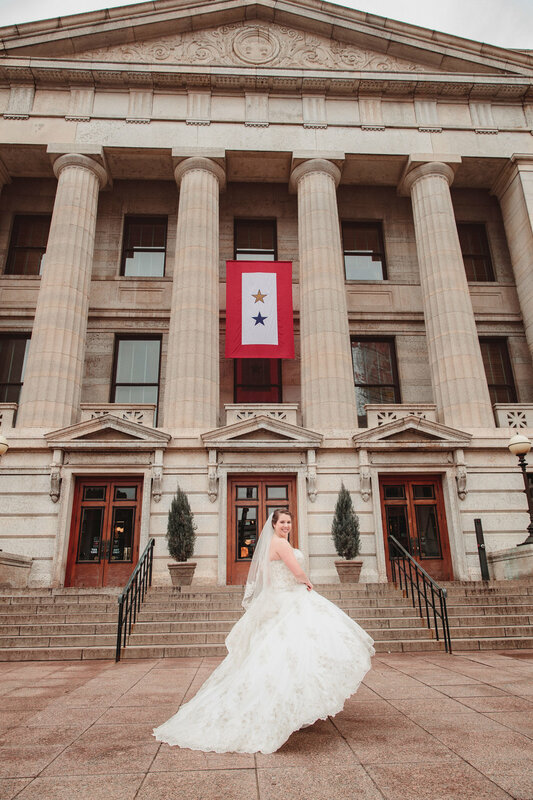 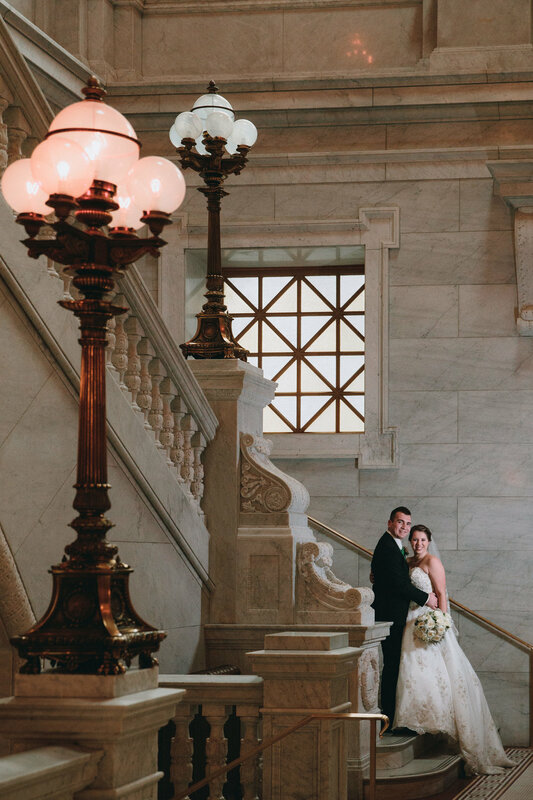 The weather was a bit chilly, so we stayed inside as much as possible, but our couple wasn't afraid to venture outside for a few pictures. 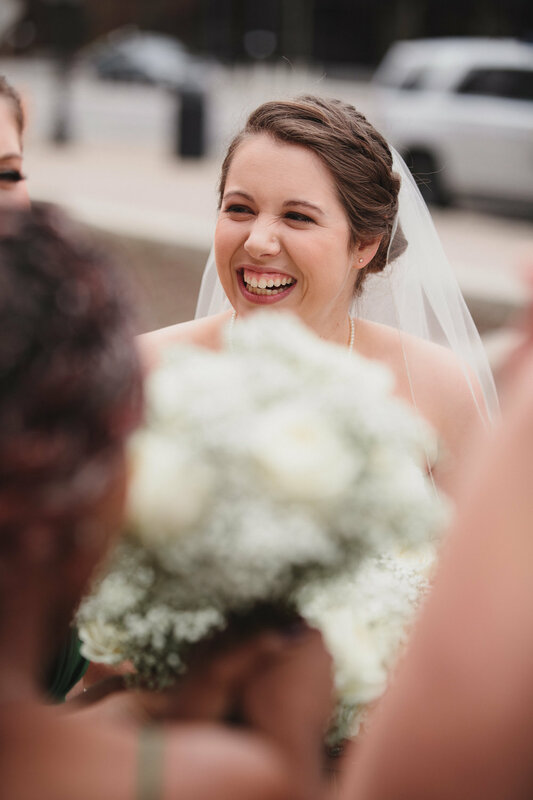 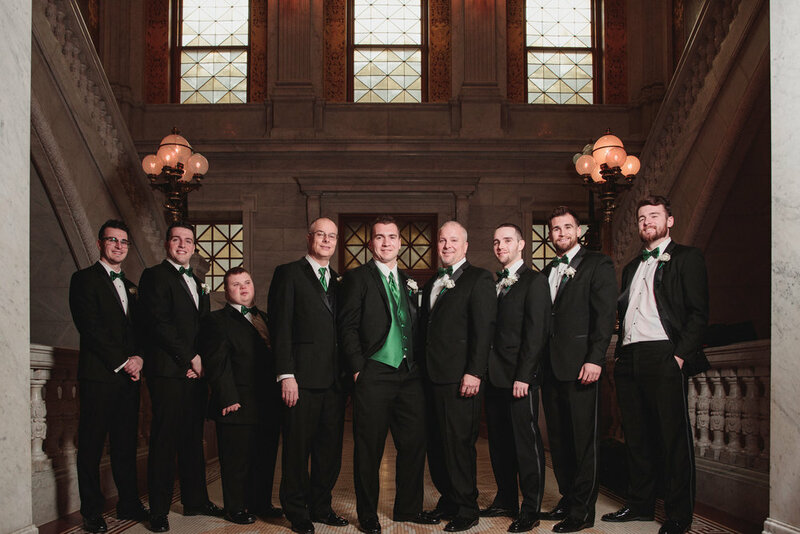 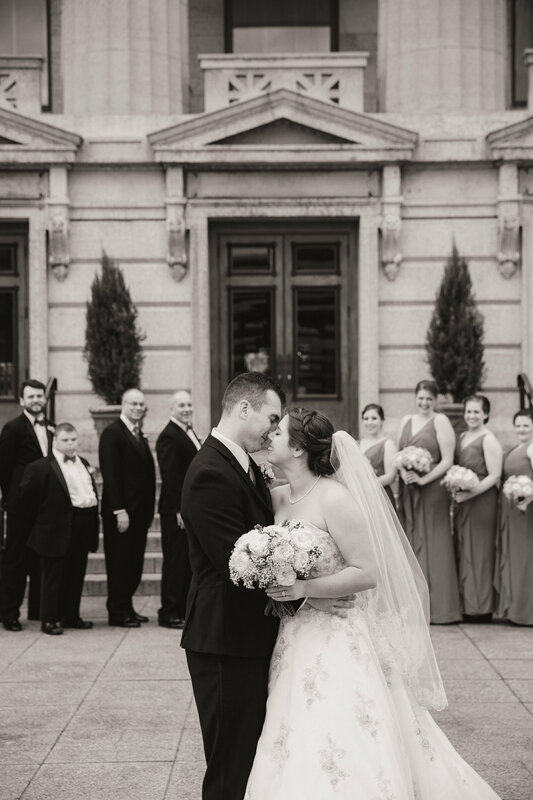 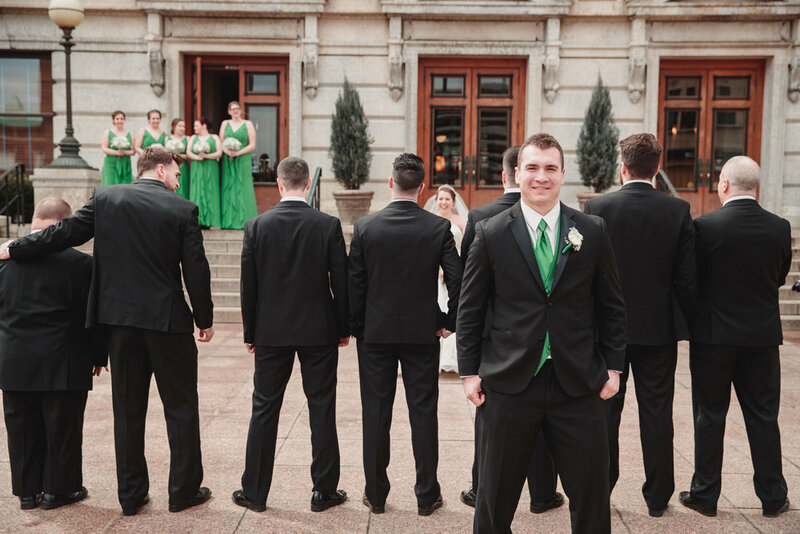 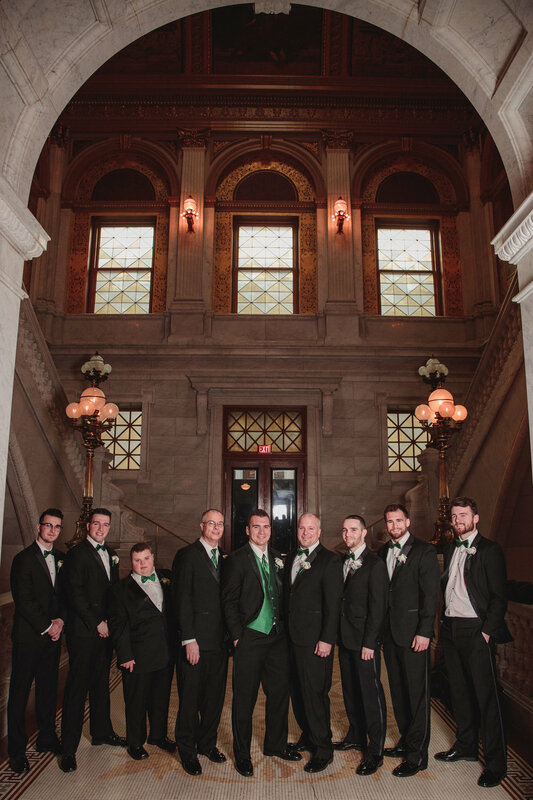 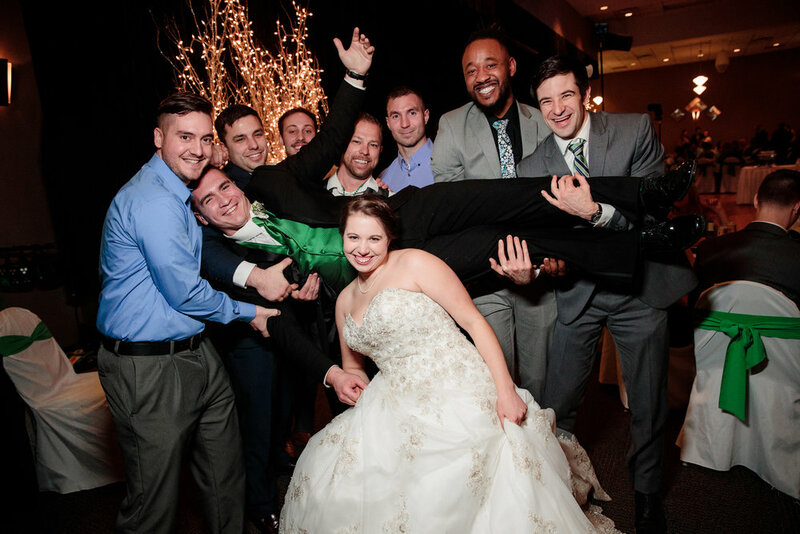 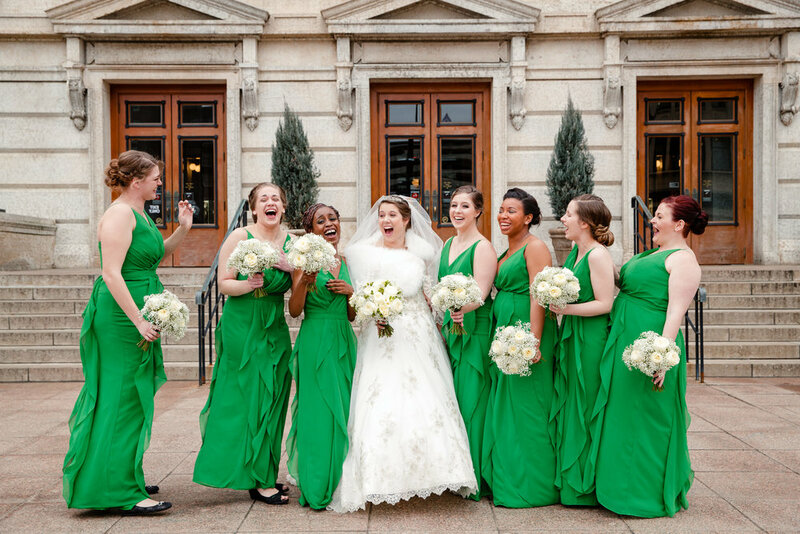 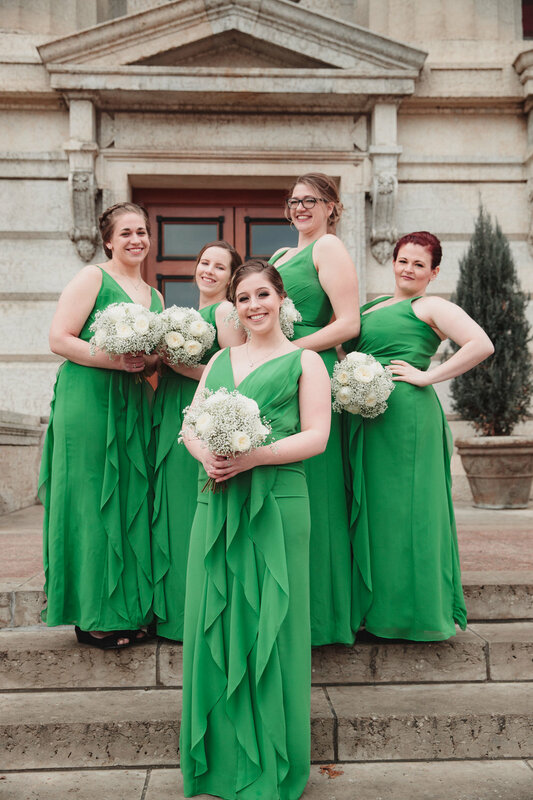 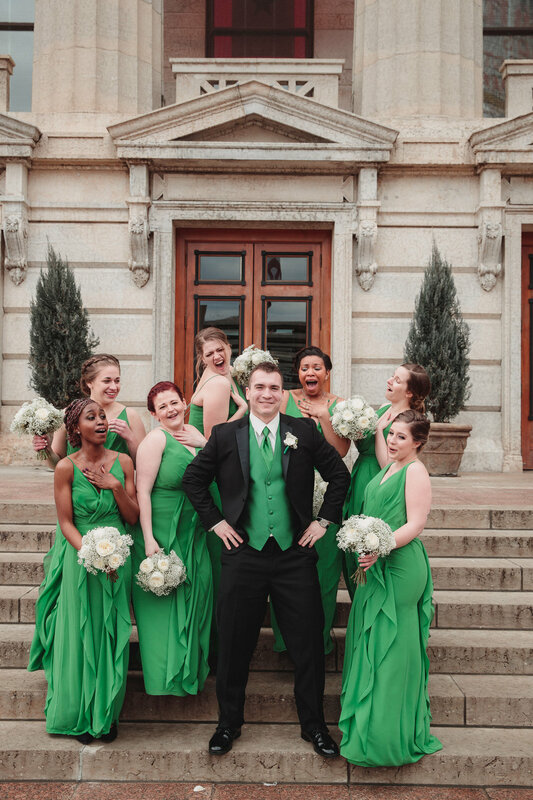 Caitlin, Nick and their bridal party all had big, funny personalities. 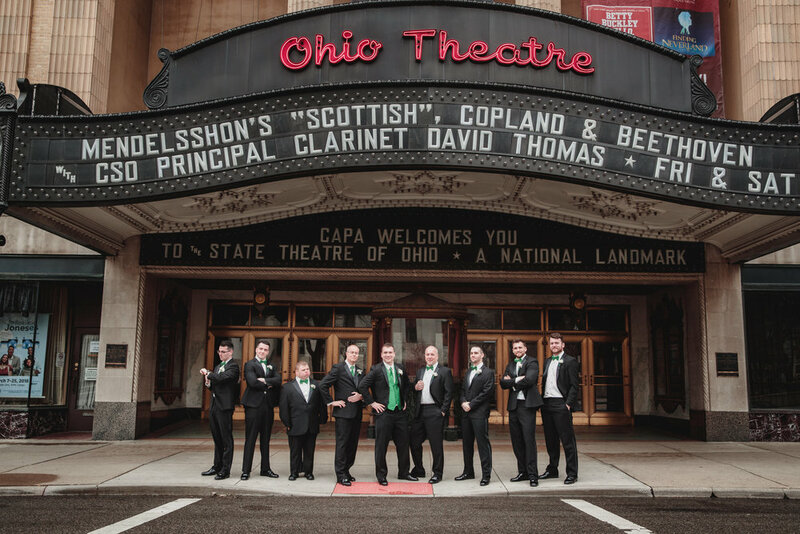 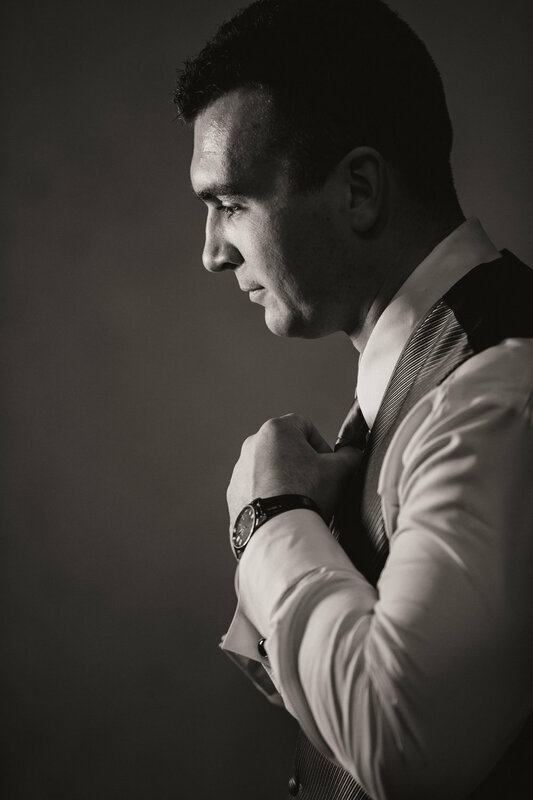 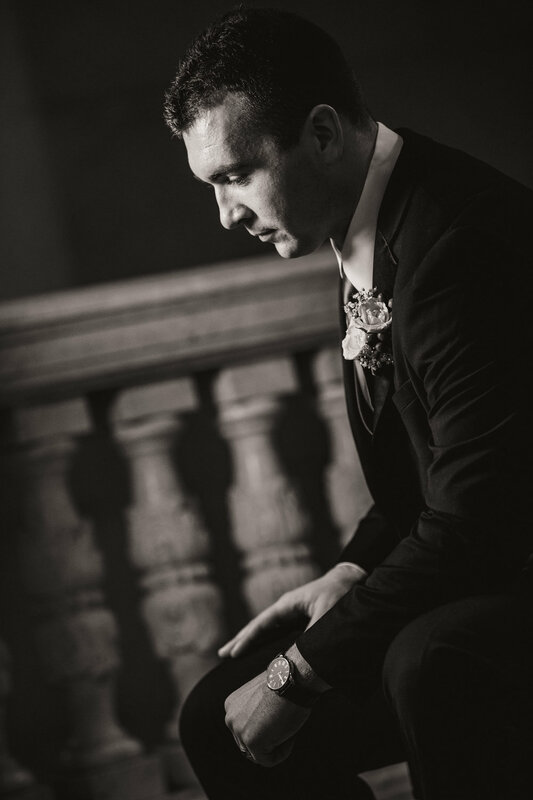 Naturally, we wanted to capture this during their portrait sessions! 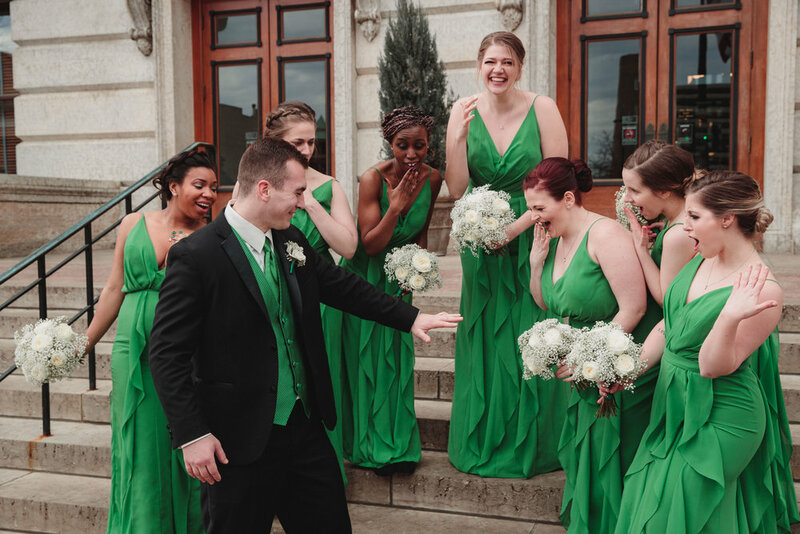 This group was not afraid to be silly on camera which made our job easy and fun. 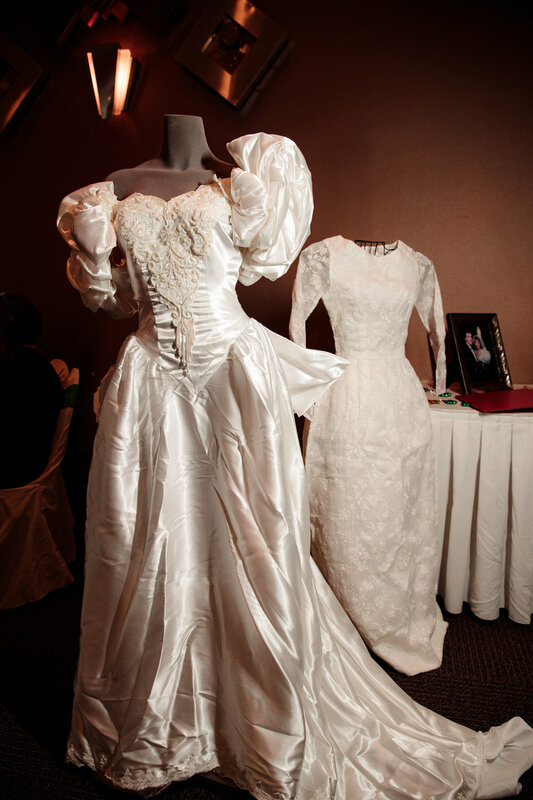 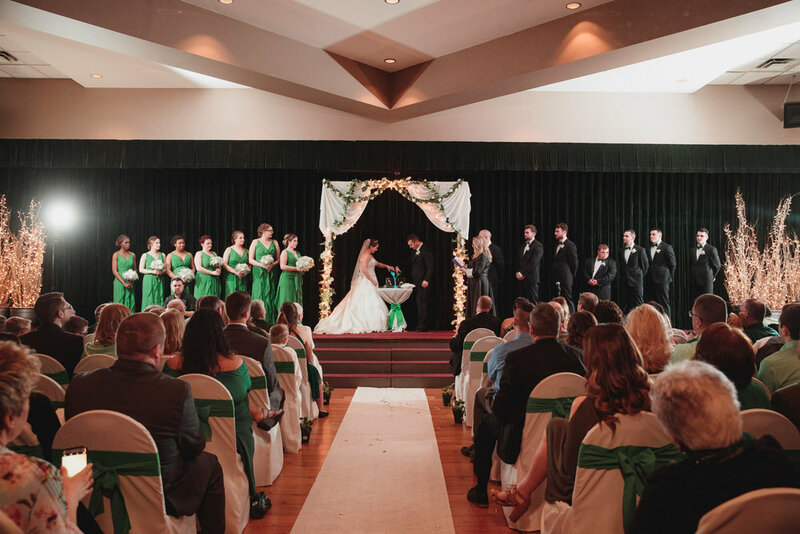 After the Statehouse, it was off to the Makoy center in Hilliard, Ohio for the ceremony and reception. 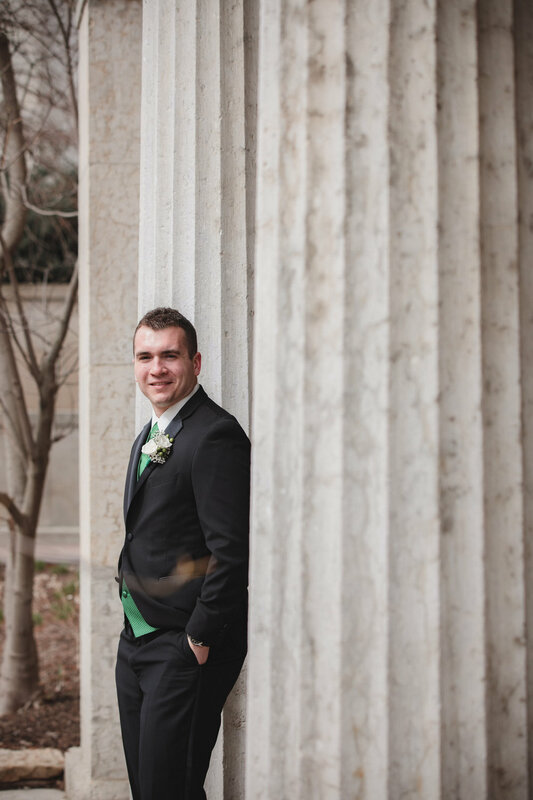 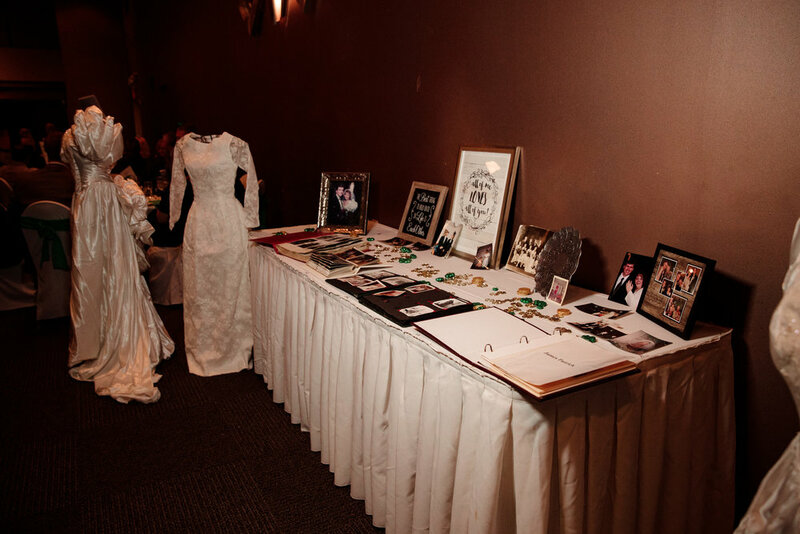 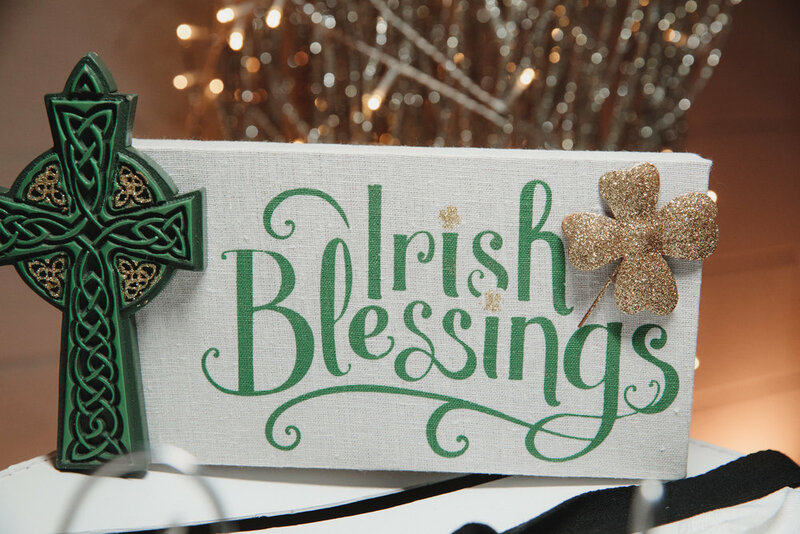 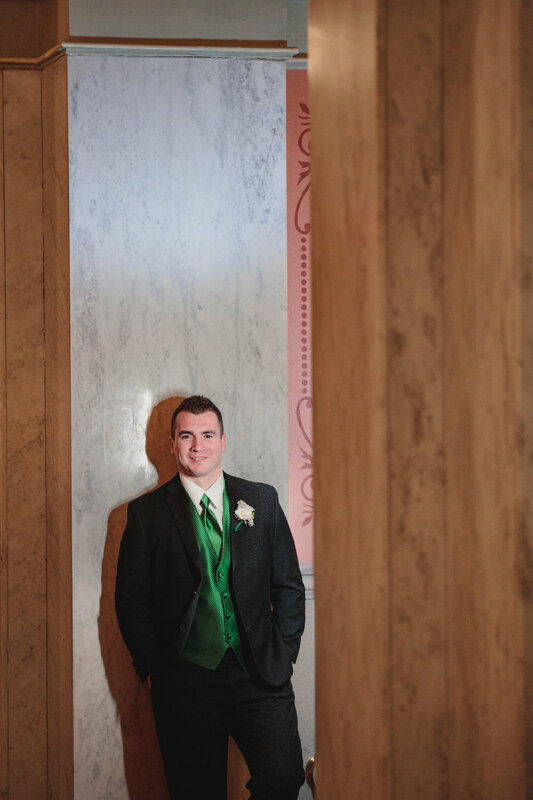 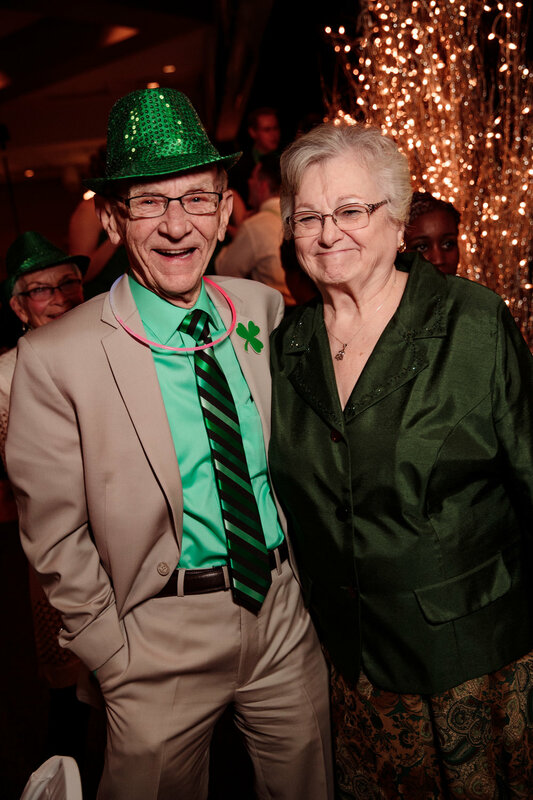 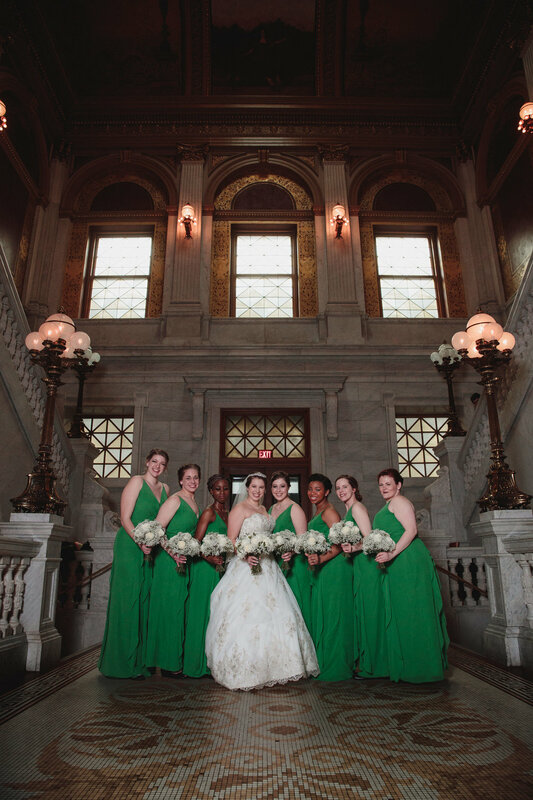 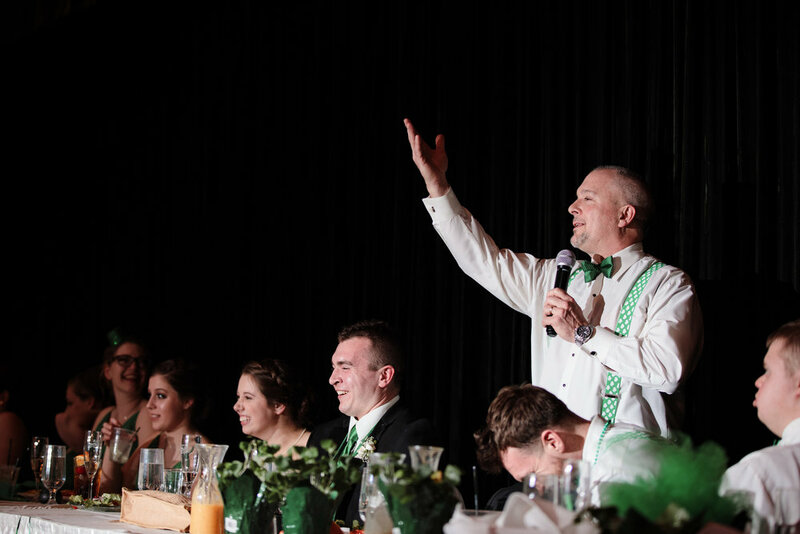 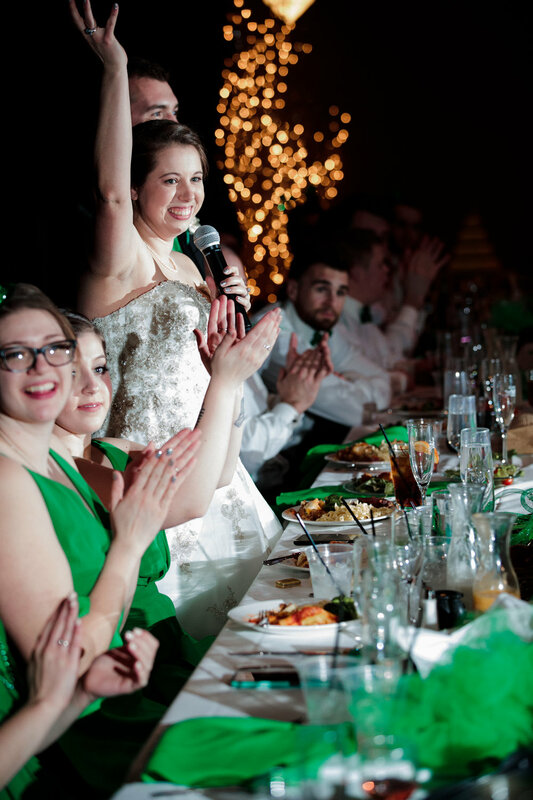 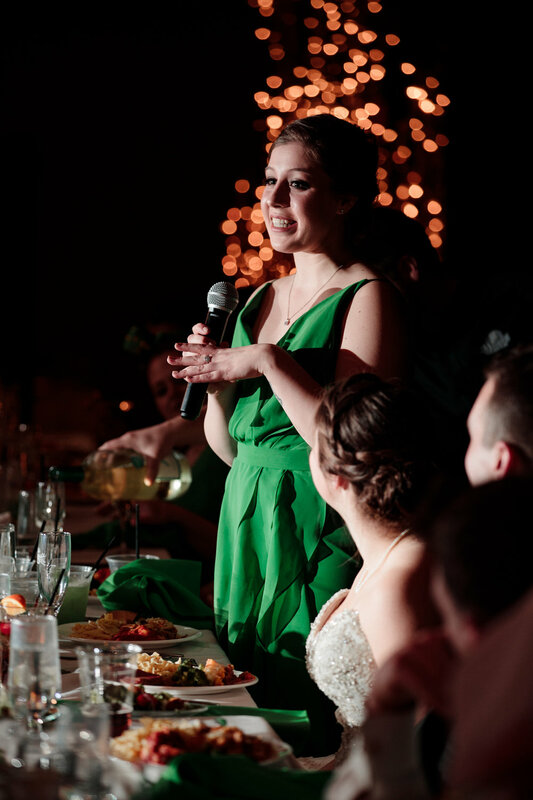 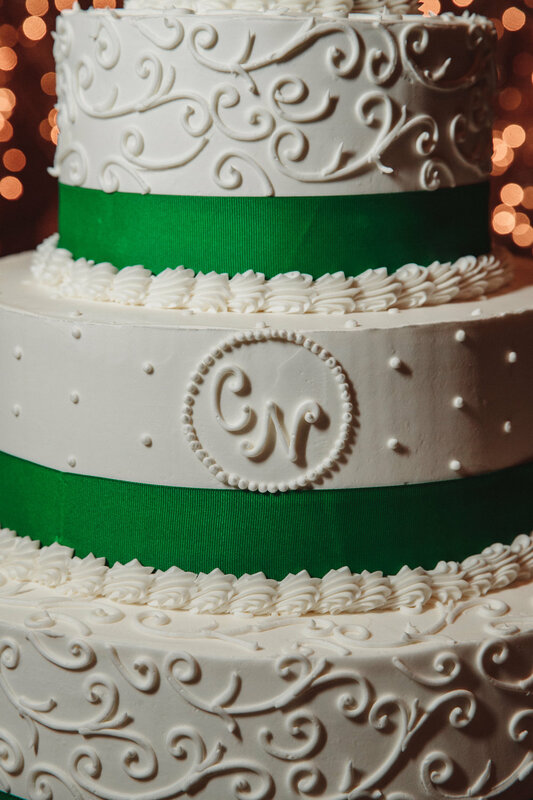 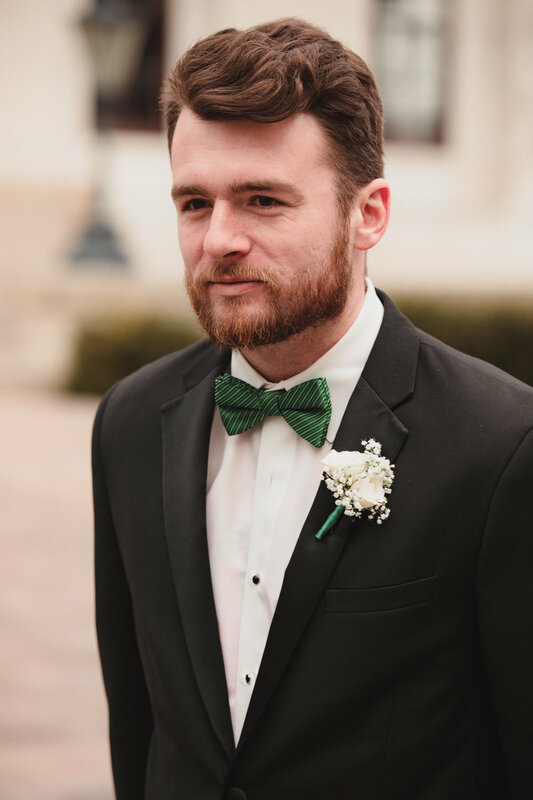 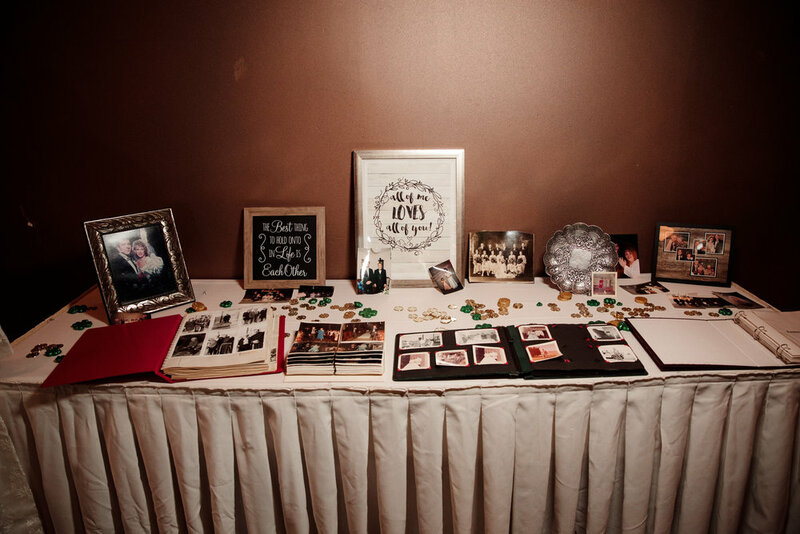 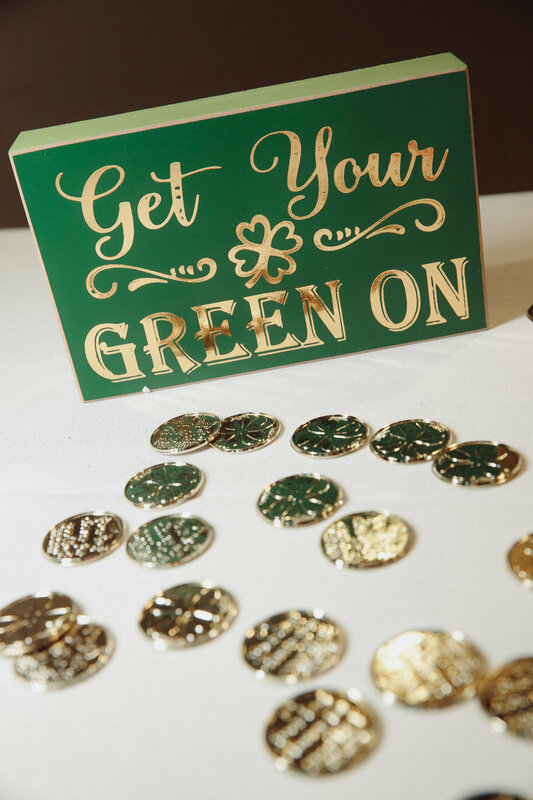 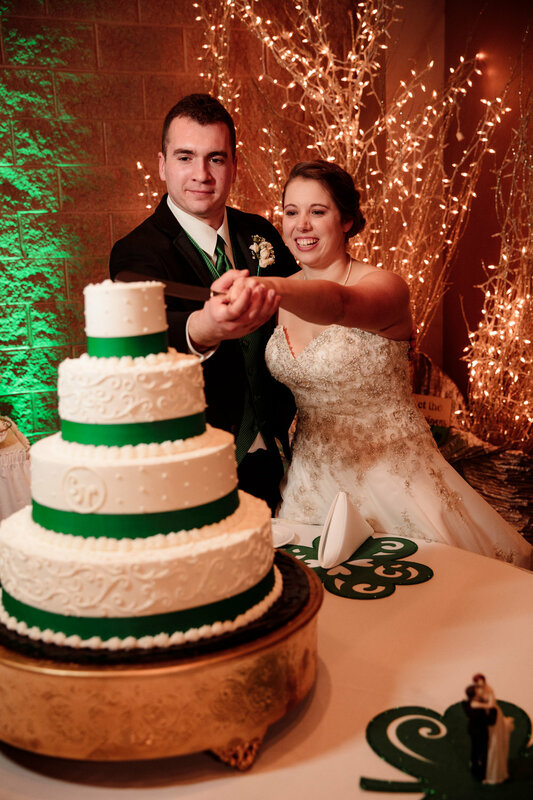 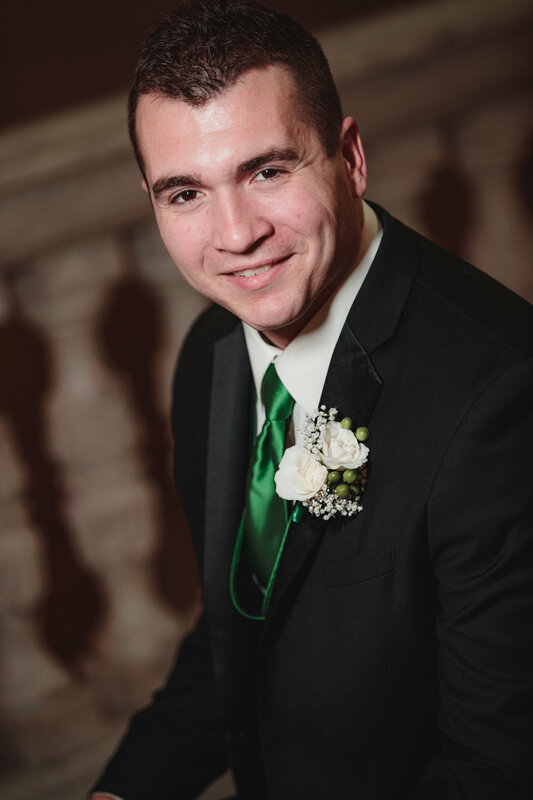 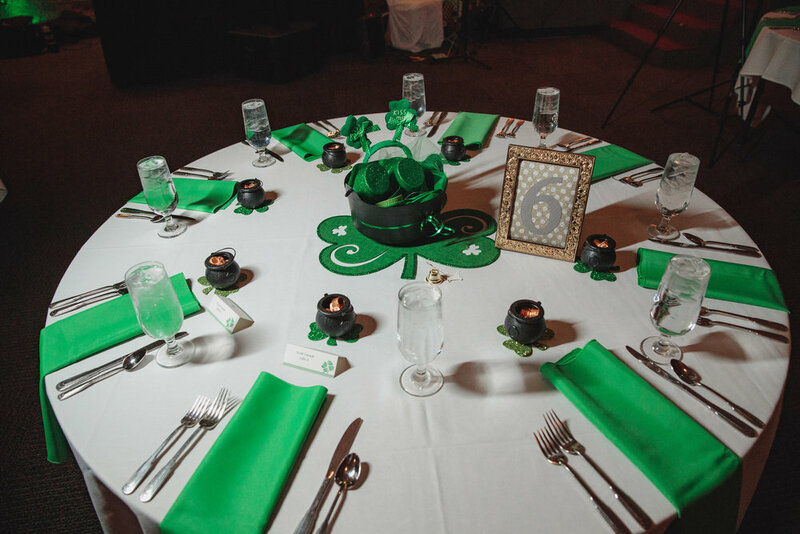 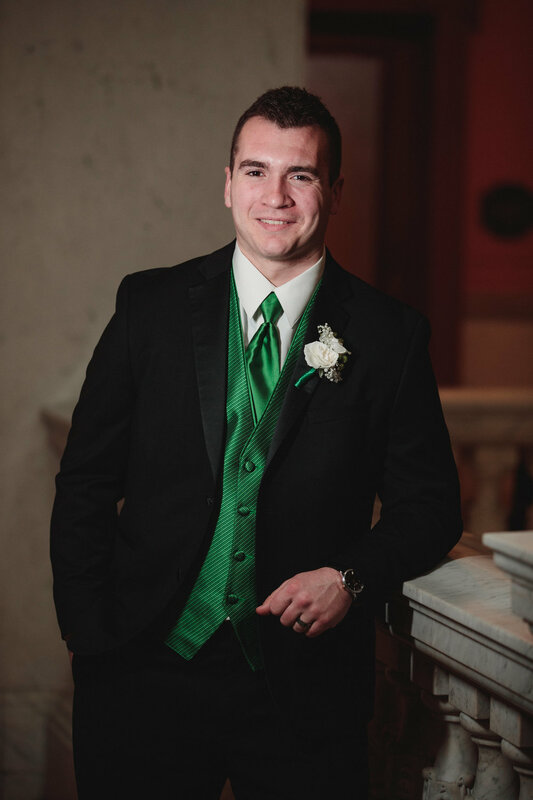 The reception space was filled with details of St. Patrick's Day. 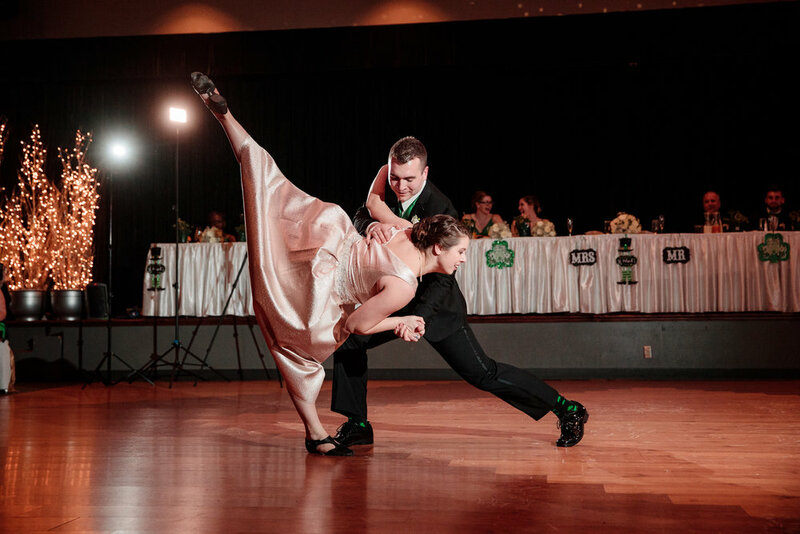 The Makoy Center boasts a huge dance floor, which was a must have in order to feature the many dance routines this couple had planned. 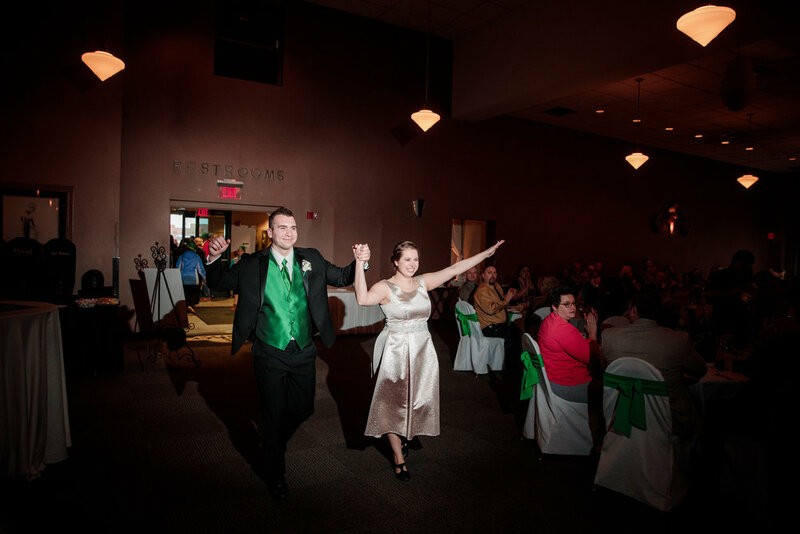 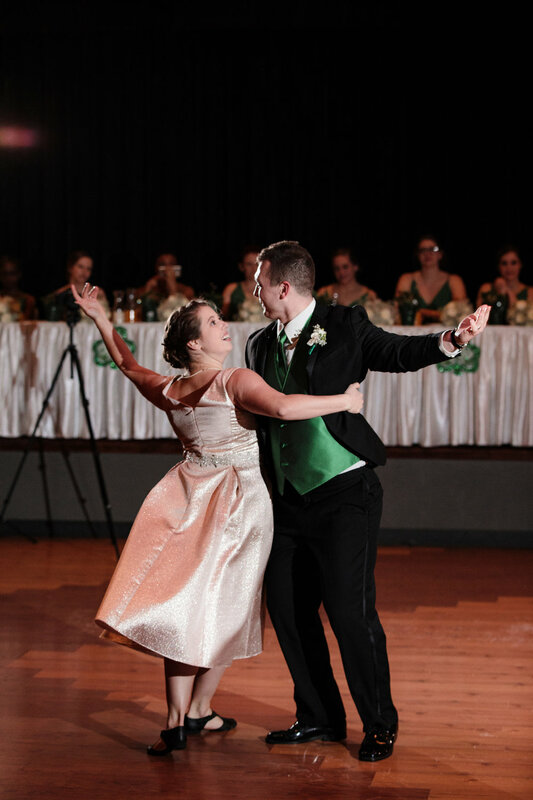 Caitlin teaches dance, so dancing was huge part of this reception. 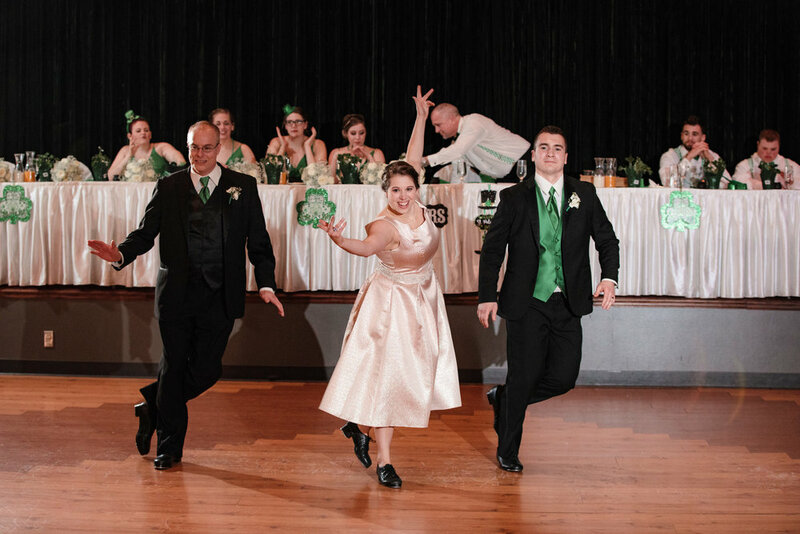 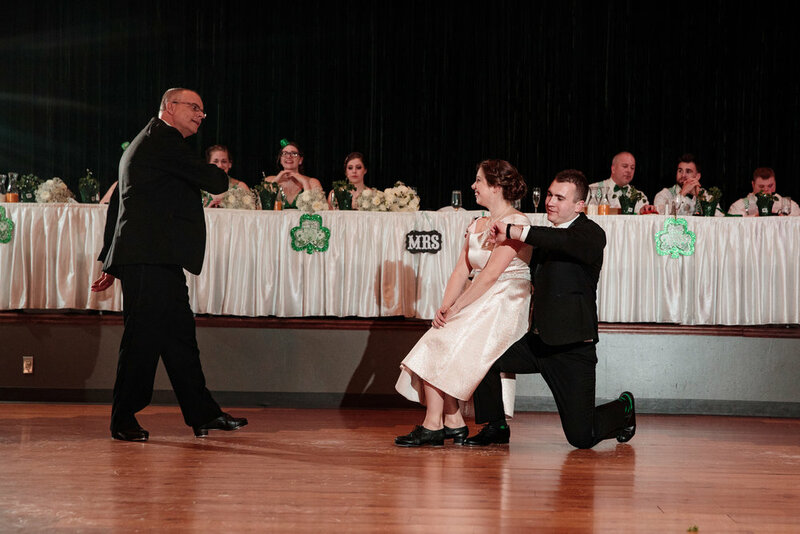 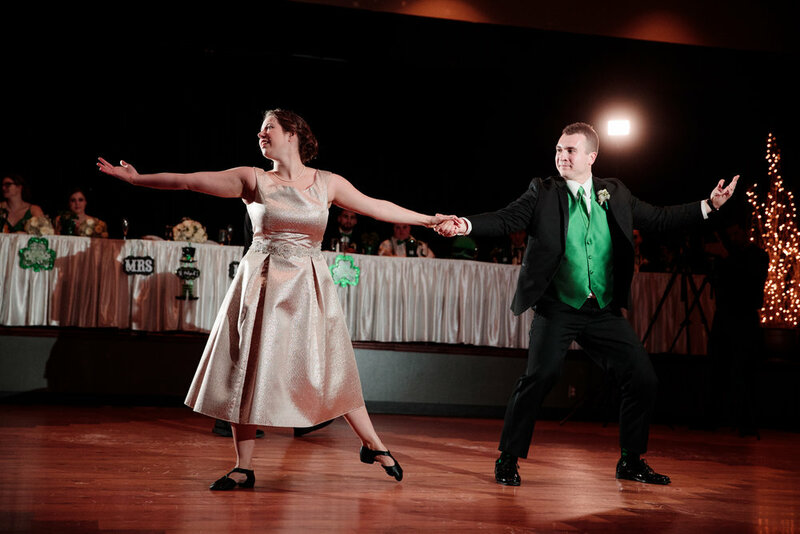 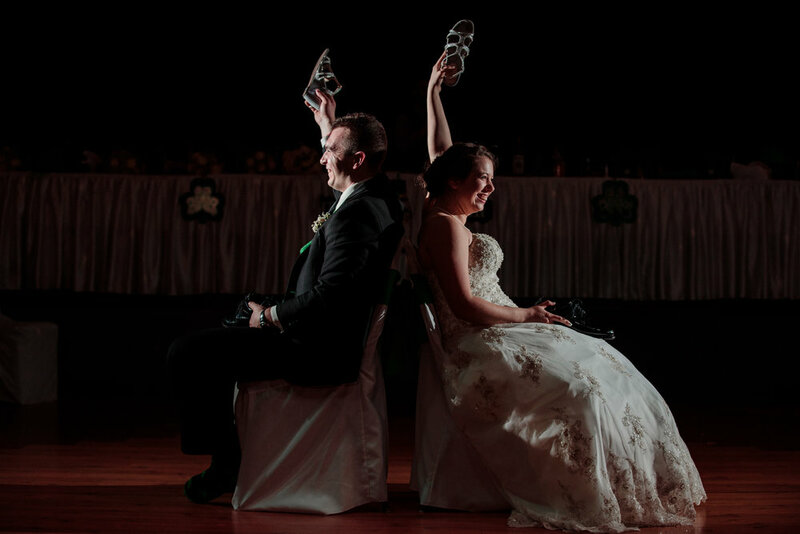 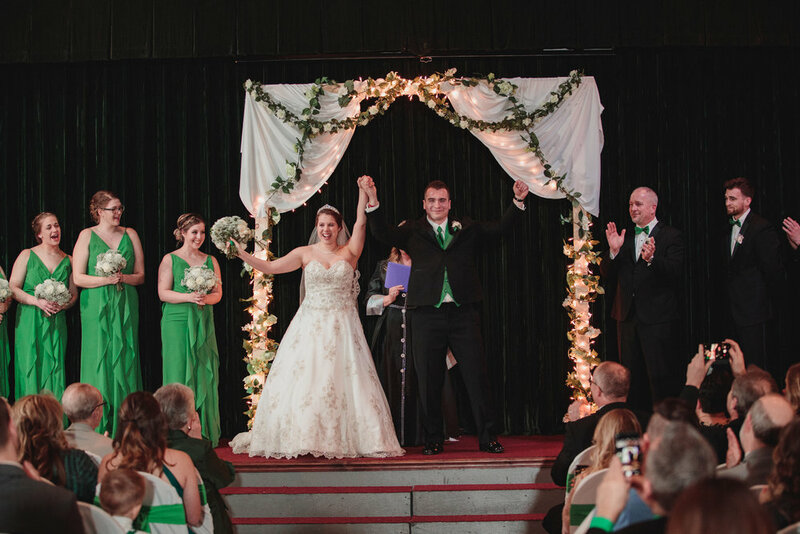 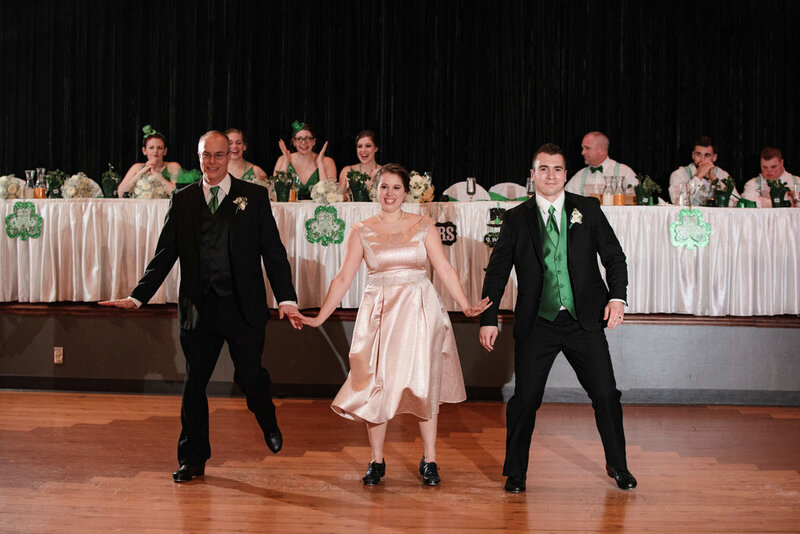 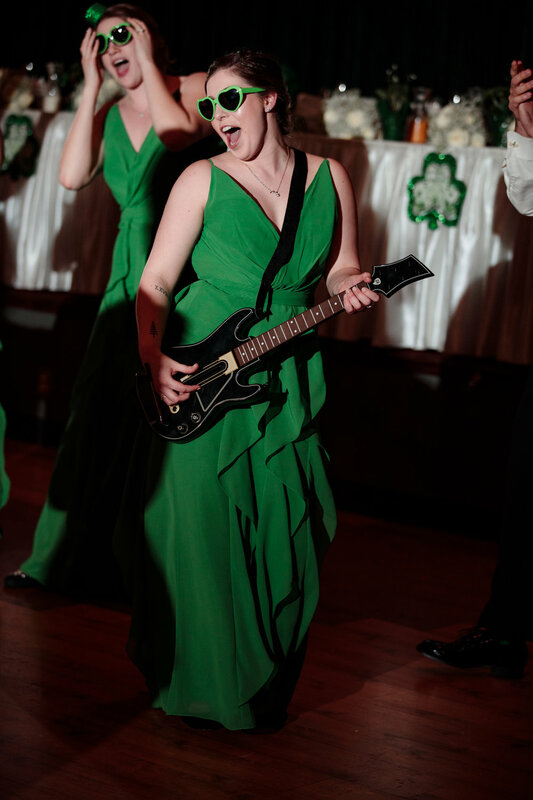 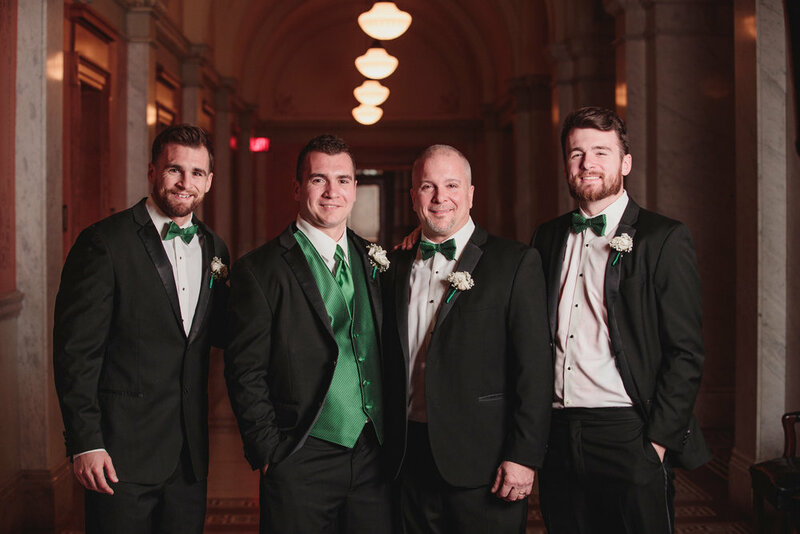 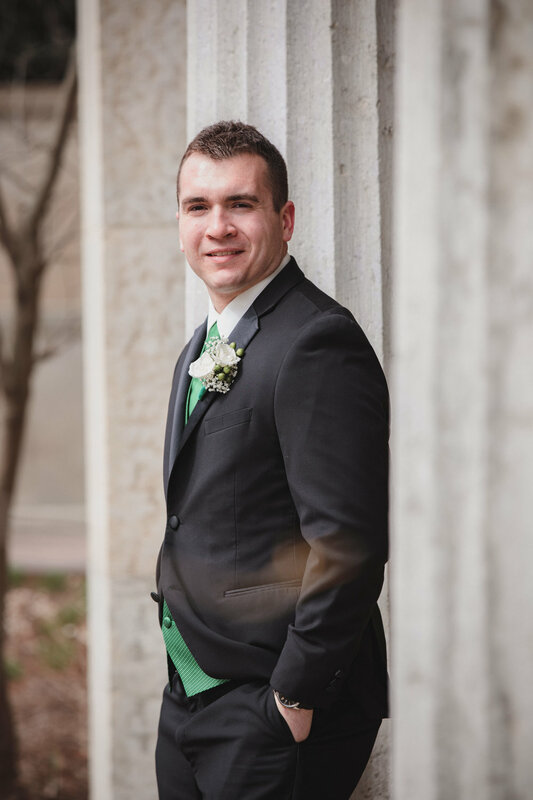 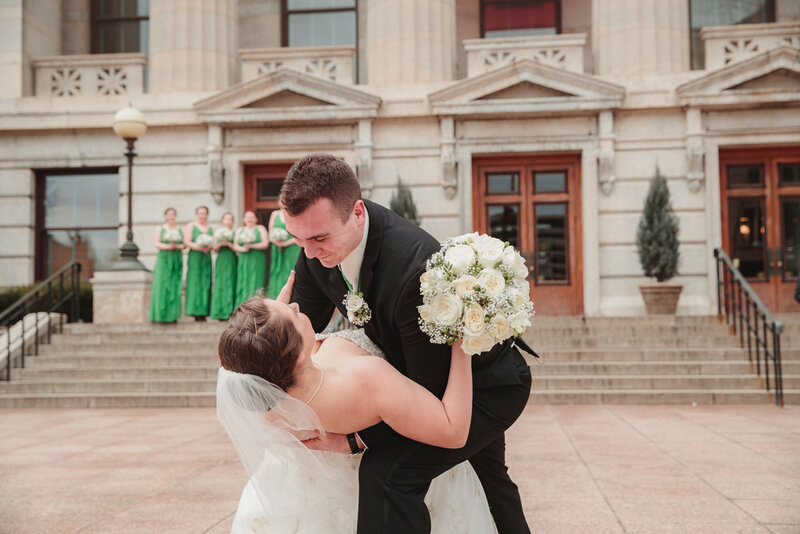 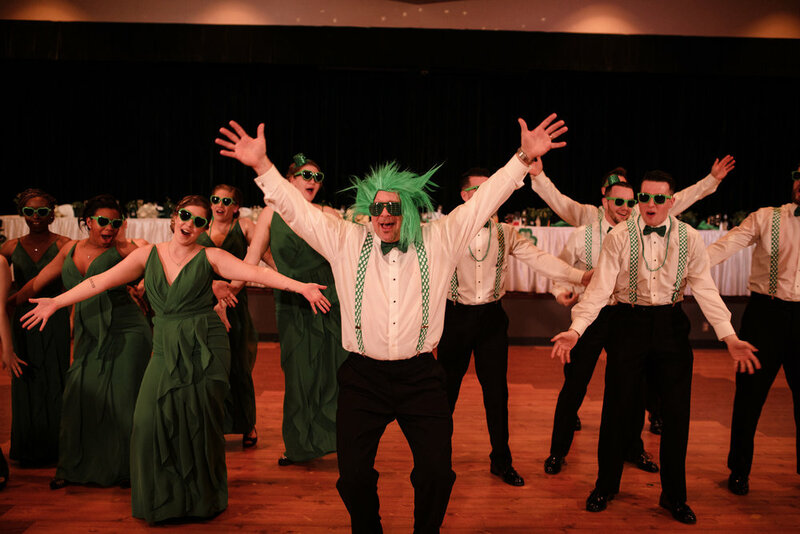 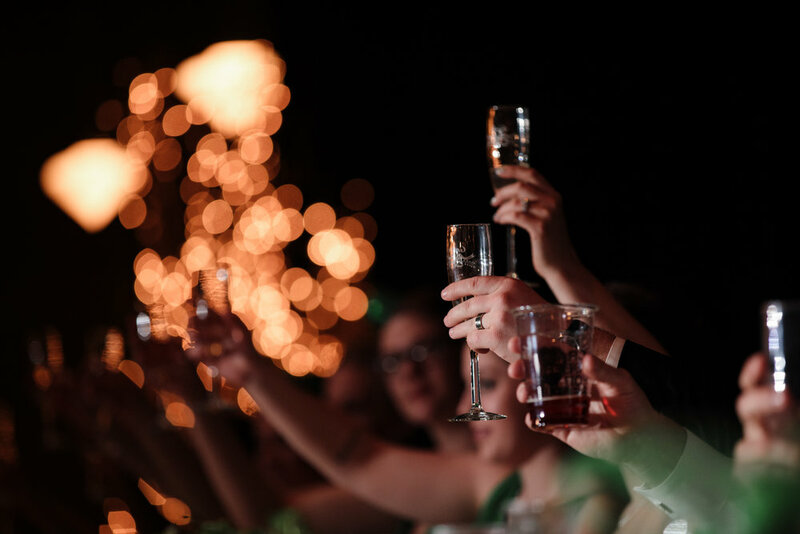 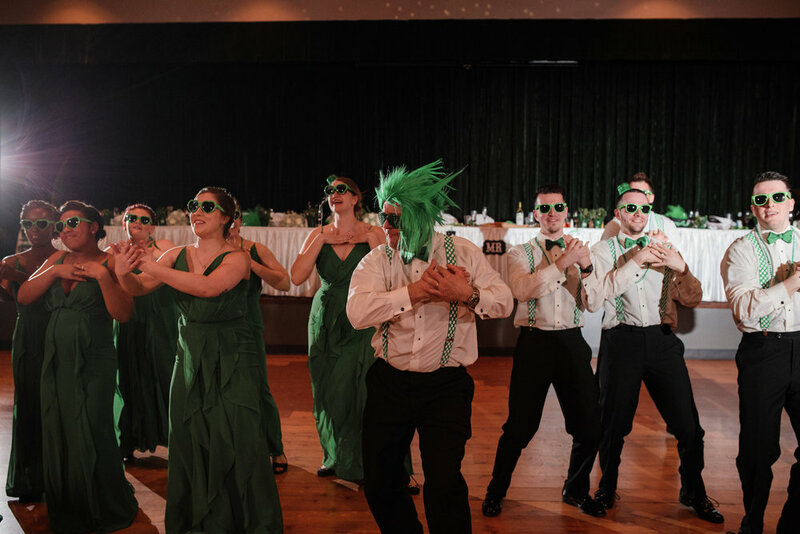 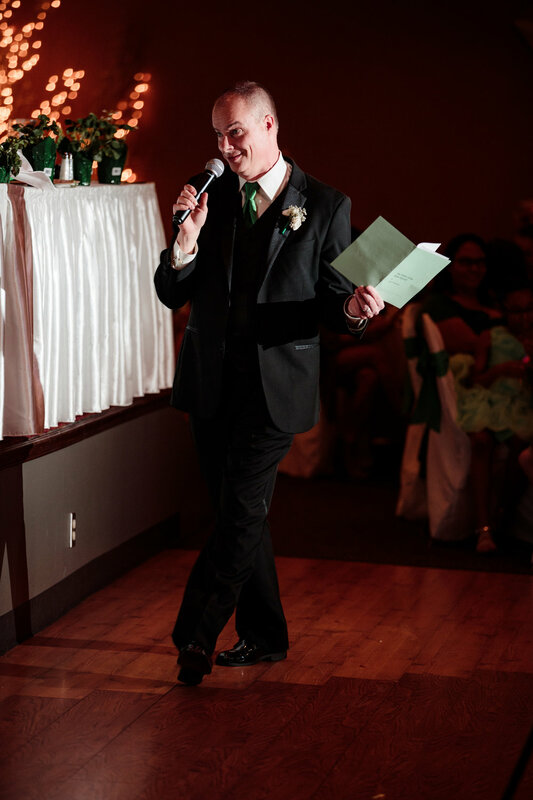 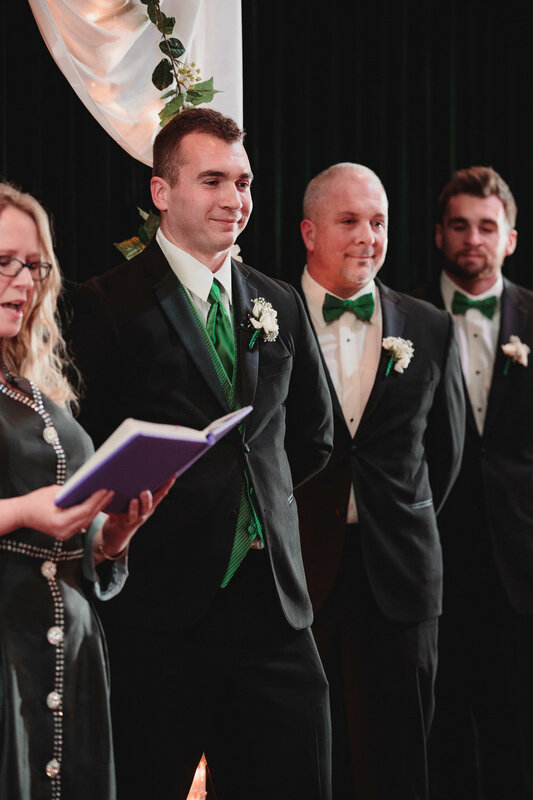 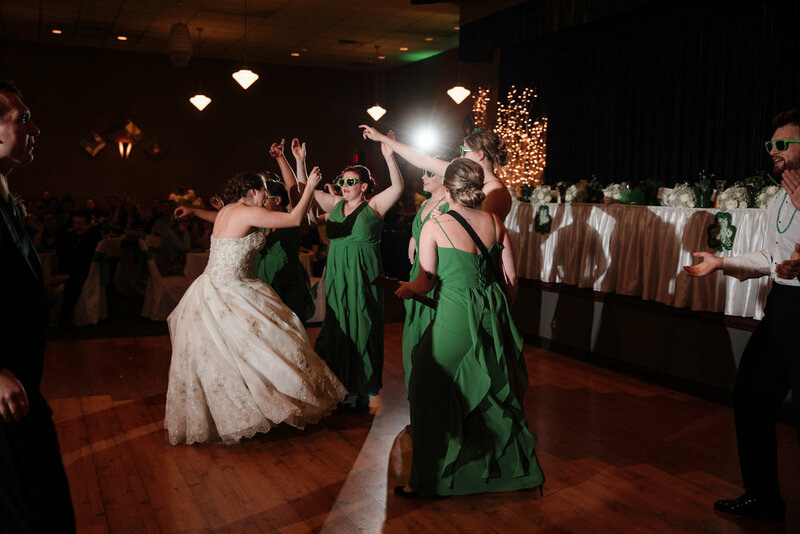 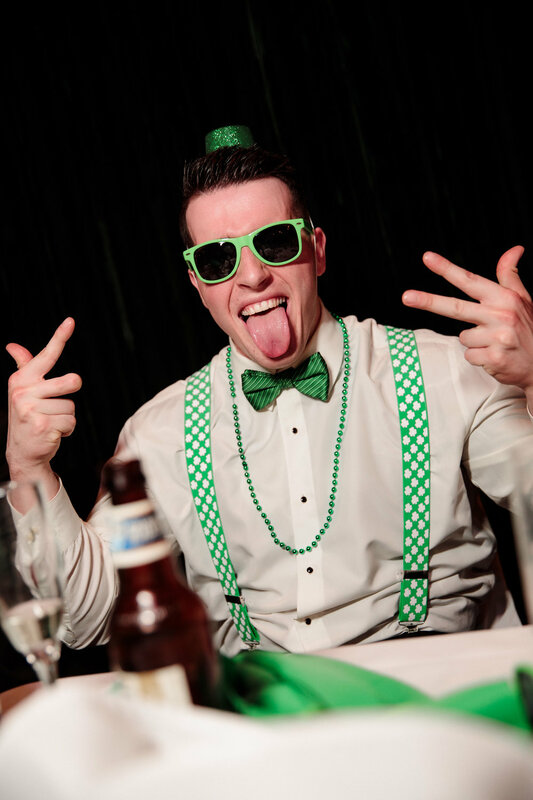 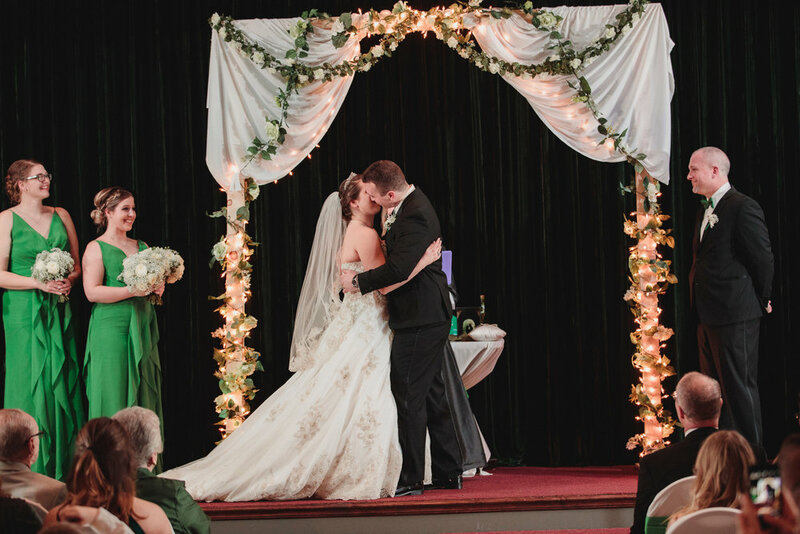 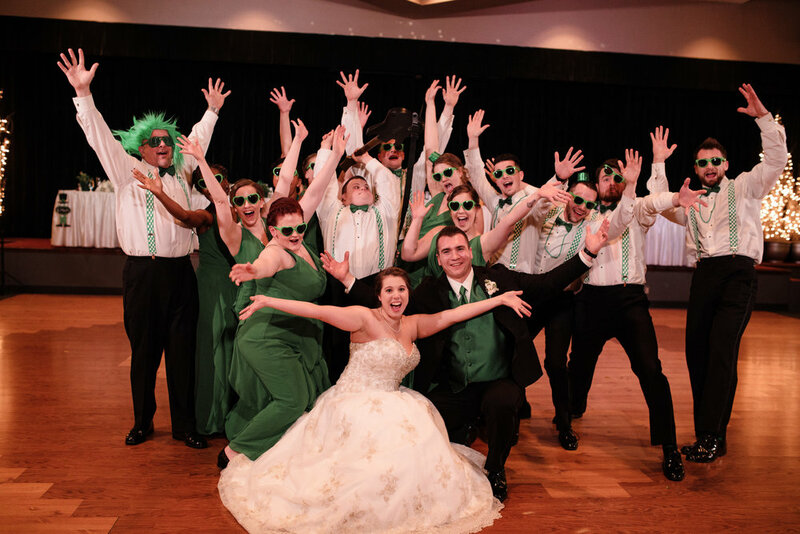 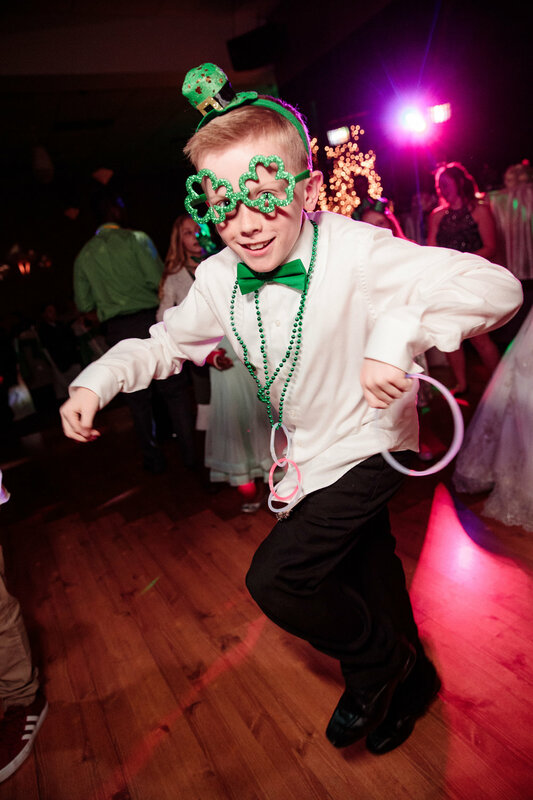 From Irish Step dancers and Tap Dancers, to a choreographed first dance with the Bride and Groom, it all ended with the entire bridal party on the dance floor dancing to "Don't Stop Believin"! 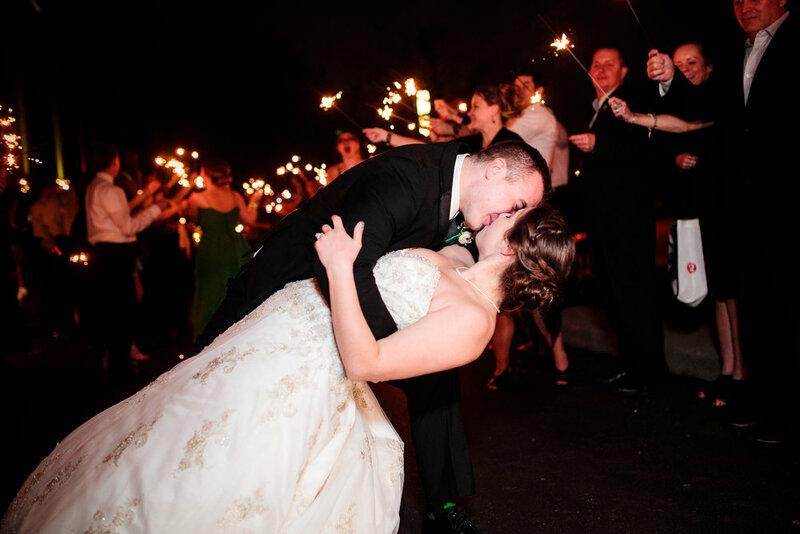 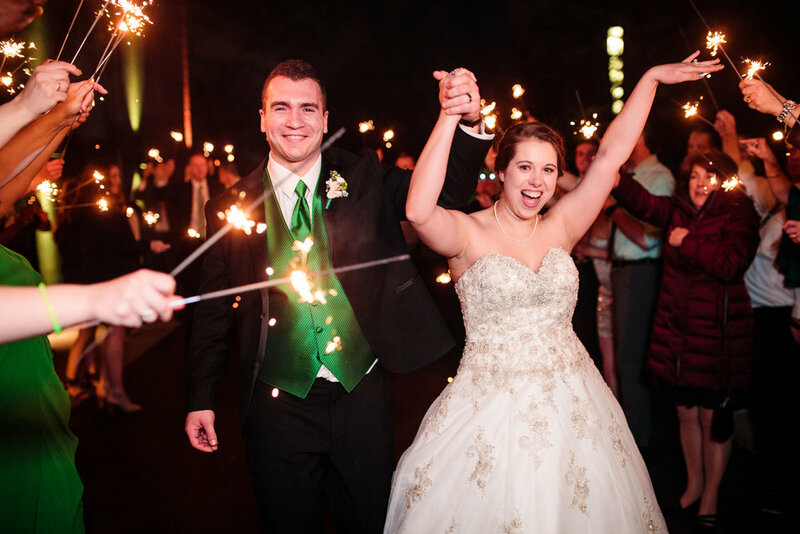 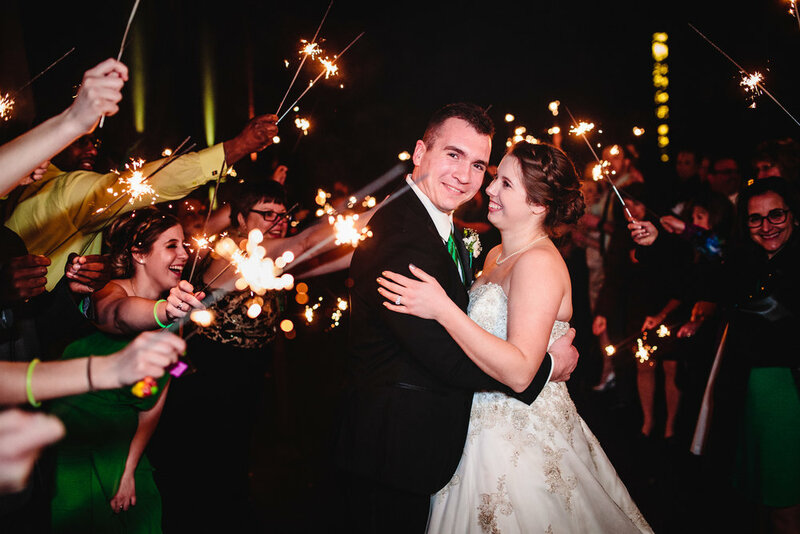 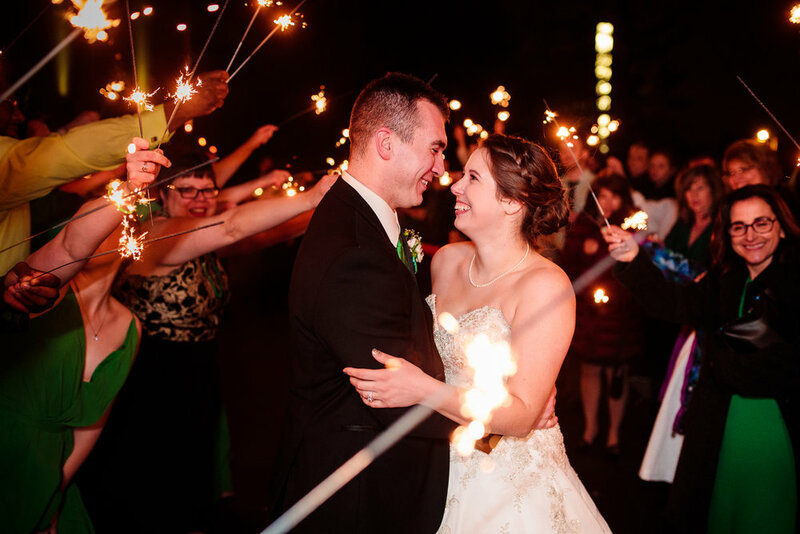 After a night of dancing and partying, our couple ended the evening with a grand sparkler exit. 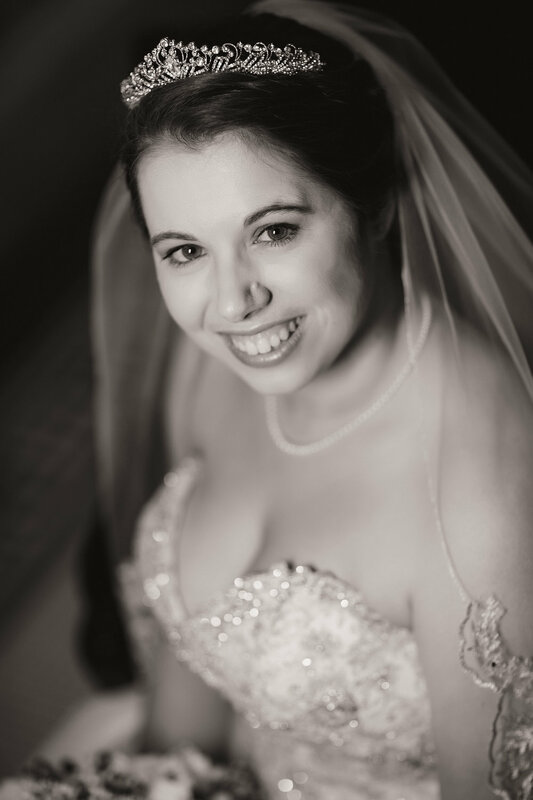 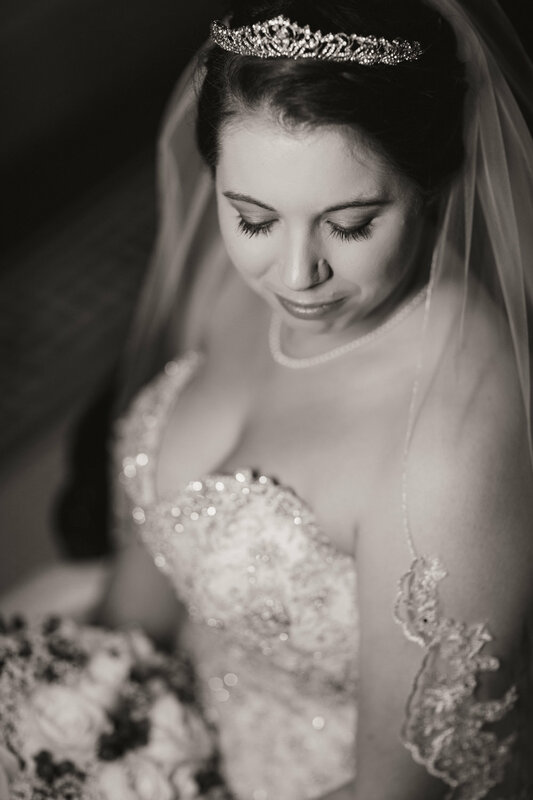 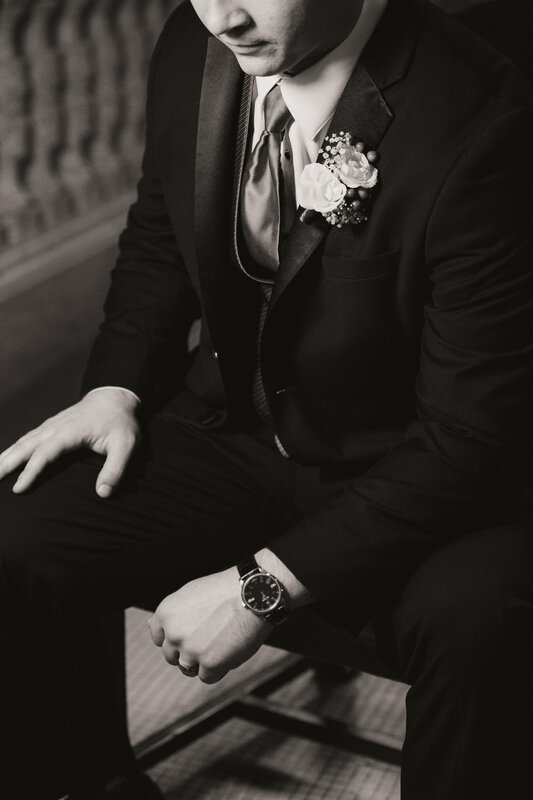 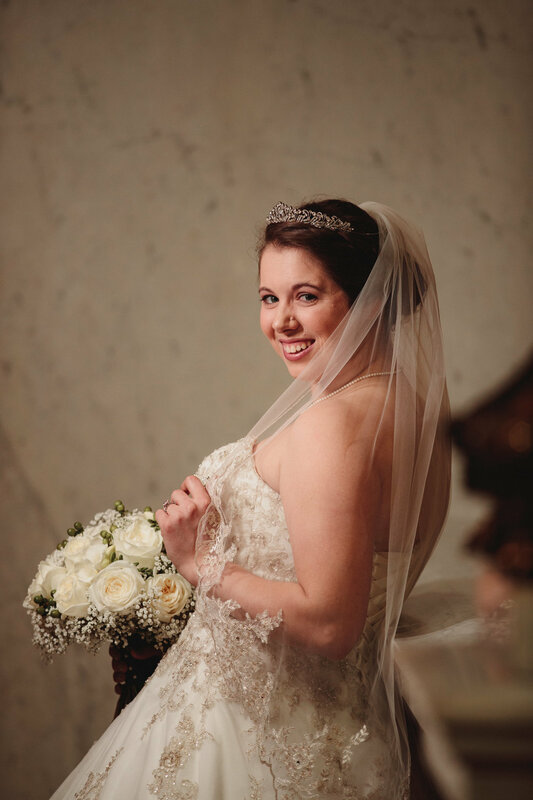 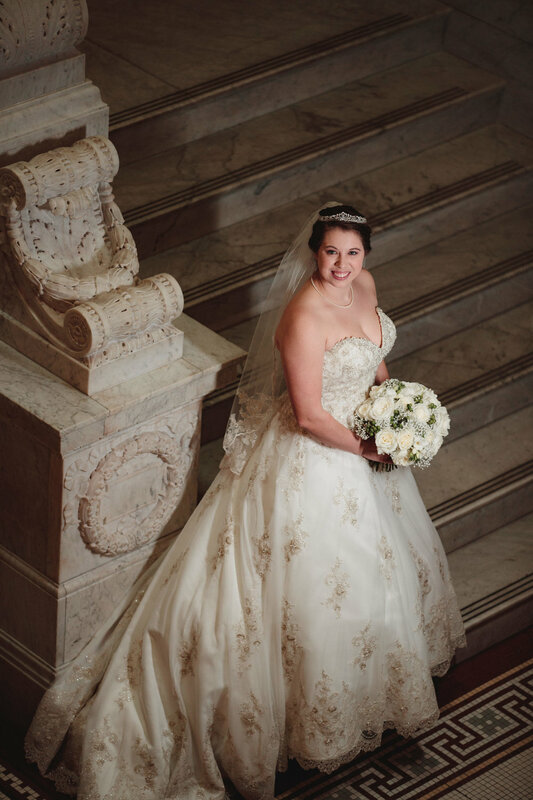 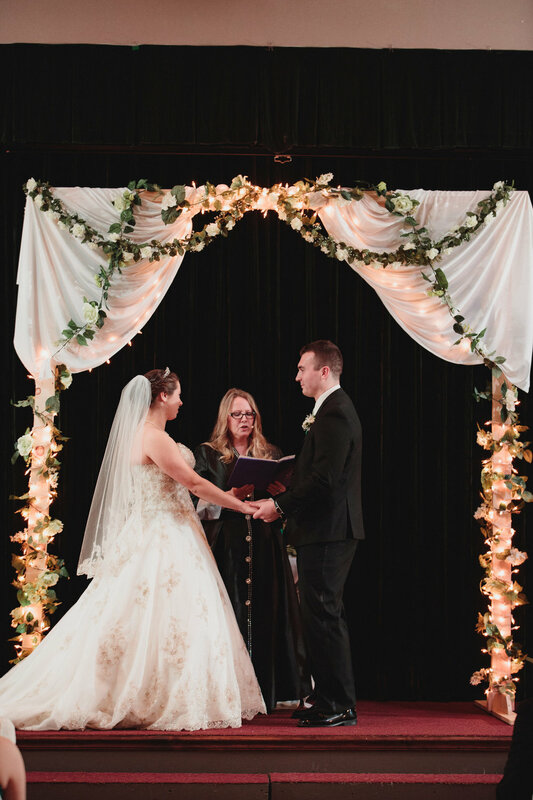 I am honored to have been a part of such an amazing day!